Today we are excited to be releasing Windows 10 Insider Preview Build 14931 for PC to Windows Insiders in the Fast ring. We wanted to include a reminder about build expiration. Since September 15th, PCs running really old Insider Preview builds started to see build expiration notifications once a day. Then on October 1st, these PCs will start rebooting every 3 hours and then on October 15th – these PCs will stop booting all together. If your PC is running one of these old Insider Preview builds, please make sure you update to Build 14926 or newer via Settings > Update & security > Windows Update. 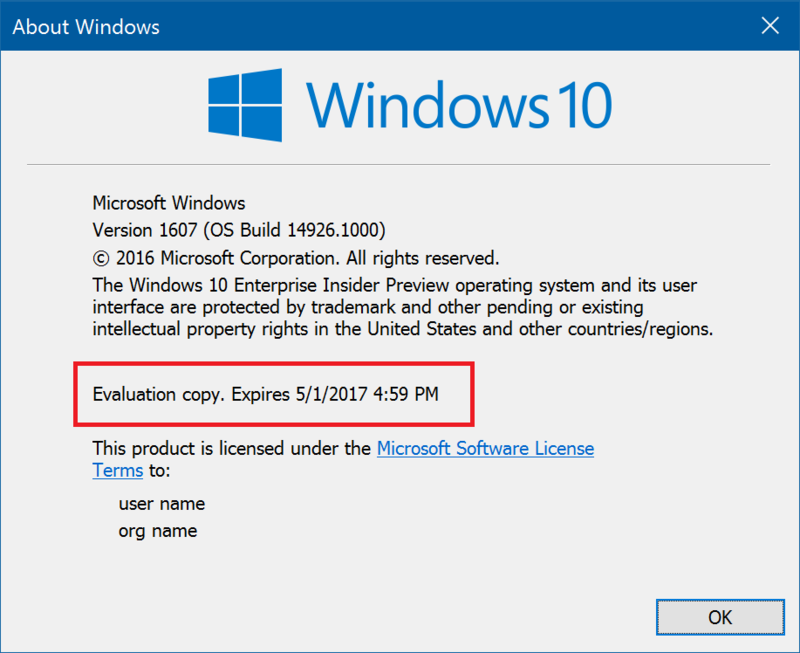 Build 14926 and newer has an updated expiration date of May 1st, 2017. If your PC is running the Windows 10 Anniversary Update (Build 14393) in the Slow and Release Preview rings today – this does not apply to you and you will not be notified of your build expiring. This build doesn’t have any notable new features but we do have some app updates we think Windows Insiders should be aware of! Feedback Hub Update: Feedback Hub has been updated to version 1.1608.2441.0. This update contains some highly requested features from Windows Insiders including dark mode, showing the original feedback author in the feedback details, and a settings page for Feedback Hub. To enable dark mode, just go into settings in Feedback Hub. Maps App Update: The Maps app was updated to version 5.1609.2580.0+ last week. You can now you can check the traffic to your Home or Work locations at any time by tapping the Traffic icon in the app bar. You will see traffic conditions to Home and Work and your most recently viewed traffic cameras so that you can stay on top of the road conditions along your route. 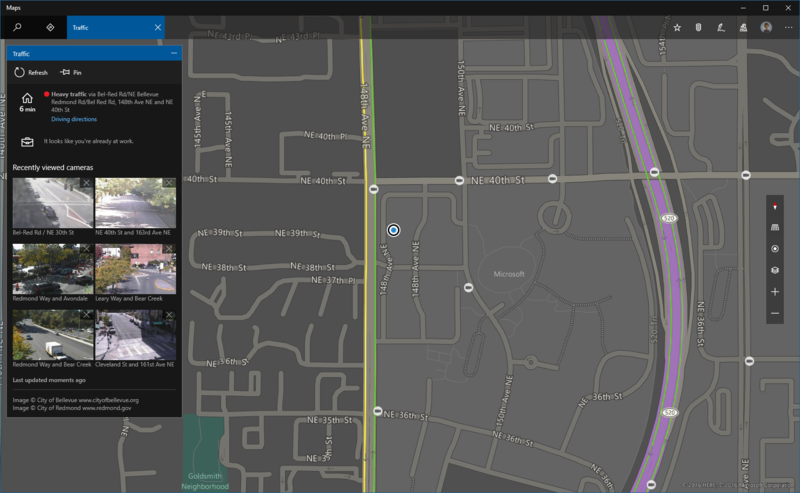 Additionally, the Maps app now follows your system setting for theme preference for light or dark mode. And you can choose to change the map theme too! Send SMS with Skype Preview: You can now try out sending and receiving SMS and MMS messages directly from a Windows 10 PC when Skype on their Windows 10 Mobile phone is set as the default messaging app. Give it a try and let us know what you think. For more details, see this blog post from the Skype Team. · We fixed the issue causing people to experience a black screen when signing out and switching to another user account and unable to log in to that account. · We fixed the issue causing the built-in Windows 10 apps such as Calculator, Alarms & Clock, and Voice Recorder to not work after updating to a new build. We are continuing to investigate two issues that came up with last week’s flight of Build 14926 for Mobile. After upgrading to Build 14926, some Insiders reported that the pin pad is no longer visible to unlock their phone even after rebooting the phone and some phones lost the ability to use their SIM card. In both cases, a hard reset of resolves the issue. Based on the feedback we received from Insiders, we have decided not to release a new Mobile build this week until we get fixes for these two issues. 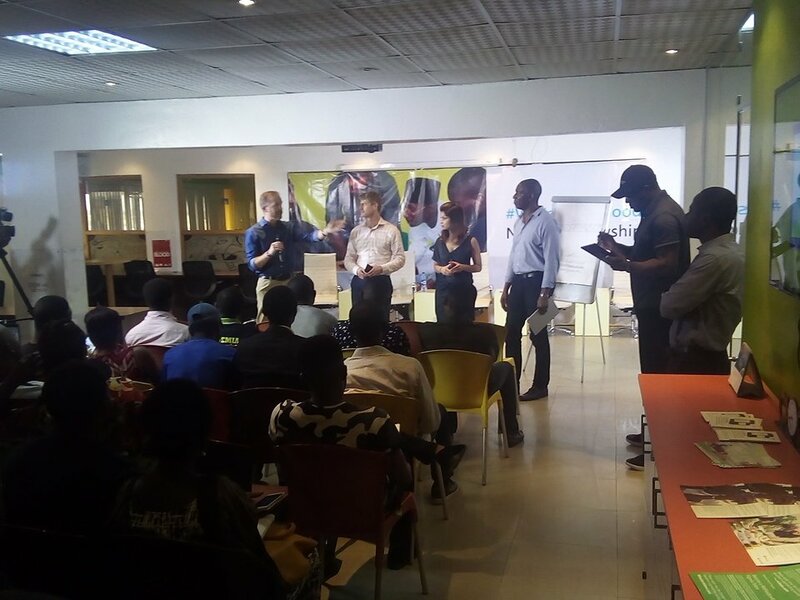 The Windows Insider Program is looking to deepen our relationship with Africa and we are starting with Nigeria. About four in five Nigerians see entrepreneurship as a goal. As we've spoken with tech and business leaders here, we've been deeply impressed with their genuine passion for making Nigeria a better place for future generations. 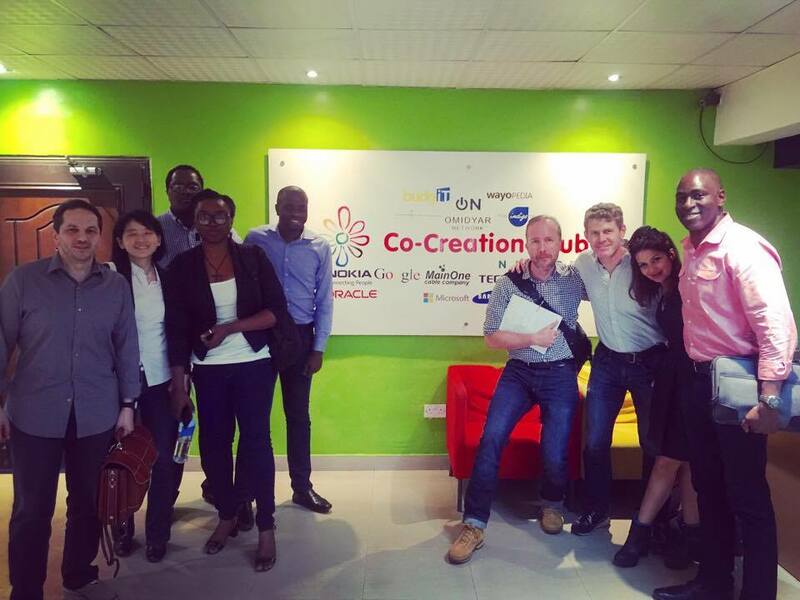 Today, in partnership with Co-Creation Hub (CcHub) of Lagos, we are honored to announce the #WINsiders4Good Fellowship. We are in search of twenty Nigerian entrepreneurs who can't stop thinking about the idea that will improve the lives of their fellow Nigerians. Over the course of the next six months, from November to April, we want to support and empower these twenty new businesses as they prepare to go to market. 1. Connect them with the global community of Windows Insiders. 2. Prioritize and collaborate to unblock their technical issues that are preventing them from achieving their goal. 3. Mentor them with technical, strategic and business guidance for six months. 4. Provide hardware and software to bring their ideas to life. We at Microsoft want to empower every person on the planet to achieve their dreams. CcHUB is dedicated to facilitating creative thinking, collaborative problem solving, and encouraging technological innovation for improved social accountability in Nigeria. We have loved being hosted by them this week. We see this partnership and the fellowship program as just the beginning. We are committed to making a deep, lasting investment in Nigeria and greater Africa starting right now. You can follow along with the announcement news here.